Like all of you, the Team at Dos Gringos is in the thick of wrapping up Valentine’s Day. Knowing how busy this time is, I’ll keep it short and sweet. 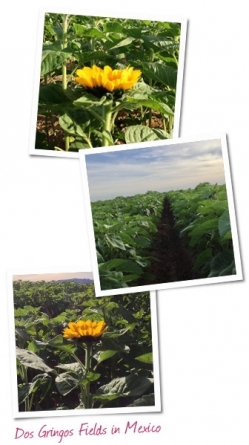 California was hit hard with a cold snap in late January, and several crops were set back. Stock, Wax flower, Sunflowers and Larkspur all are coming up slower and later than expected. We are working through this with the same attention and discipline we give to any challenge, and orders are going out. We appreciate everyone's flexibility around shop dates and recipe changes. I can assure that you will get the best possible product(s) every time. January was “All Airport, All the Time” for me. I made some very productive January trips to visit clients, partners on the East Coast and see upgrades in operations and facilities. It is so helpful when we can see for ourselves how our work impacts yours. I also traveled to Mexico with our team to check in and get an update from our Ranch Managers. We were pleased to see the progress that is being made in our expansion project. After helping immensely with our holiday operations, Dos Gringos Miami continues to add capacity and capability. Our progress in this strategic location will improve service and freshness for valuable clients in the east. Our staff in Miami – all team members who were with us in California for years and who know and understand the standards and expectations we insist on – is working hard to execute a successful Valentine’s Day. This was a huge transition for all of these folks, and they haven’t missed a beat. Job #1 is to now secure and enhance our Florida production. In addition to this, establishing important relationships that ensure we can offer and deliver the best products at the most competitive prices will remain a priority. Reaching out within the Miami community and making lasting connections will be a key to our success. I’ll be here in California working with the team until all Valentine’s Day orders are filled and shipped to your satisfaction. I will then be hitting the road again to head back for more site visits in the Midwest and East Coast. I want to inform you of a very positive change and one addition to our Team. Todd Thornton, a master grower who’s been with us several years in a number of different capacities, is now on-site in Vista full time. His work with Ranch Managers and his unparalleled knowledge of the growing process, start to finish, will continue to be an asset for us. 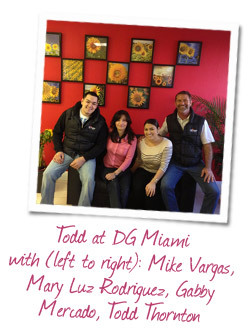 Todd is now working closely with Ciro Gonzalez, the newest member of the family. Ciro has stepped up beautifully to learn from Aaron Motola and to begin helping with the many and varied responsibilities associated with procurement. We’ll give Ciro an appropriate welcome and introduction in the March issue of this newsletter. Until then, I wish you all a wonderful Valentine's Day!